Based in Stoke On Trent, GPUK is run by my self Ross Pointon and my strong professional team. It was set up as a professional platform with a safe environment for young up and coming Amateur and Professional mixed martial arts fighters to showcase there skills in the 25ft octagon Cage under the bright lights and hopefully to become a future GPUK Night Of The GladiatorsMMAFC Champion of the future. Supporting GPUK & Night Of The Gladiators mixed martial arts fighting championships you are supporting the future generation of mixed martial arts and its athletes in the UK. Ross “The Gladiator” Pointon is a two time British San Shou Champion, who also represented the UK British Council Chinese Martial Arts, 4th at the Portugal European San Shou Championships. UK Mixed Martial Arts World Heavyweight World Champion. (organization) UKMMAC UK Mixed Martial Arts Championships London. English Brazilian Jujitsu Champion and a European Gracie Brazilian Jujitsu Champion. Coached by 4 times Brazilian JuJitsu World Champion Braulio Estima. Ross is a 4 times UFC veteran who starred in the hit reality TV show “The Ultimate Fighter Season 3” (TUF). Ross reached the semi finals in this competition, narrowly losing out to the eventual winner of the show Michael Bisping. Ross has trained MMA with some of the true legends of the sport, and was lucky enough to get coached and train along side former 5 times (UFC) and Hall fame and Light Heavyweight Champion Chuck Liddell whilst Ross prepared for (UFC) Rich Clementi and Chuck got ready for his second fight with Tito Oritz. Ross was also Fortunate enough to train and get coached by (UFC) Light heavy weight champion Tito Ortiz, (UFC) hall of fame Ken Shamrock, (Pride) Grand Prix Champion former (UFC) Heavyweight Champion Mark “The Hammer” Coleman. (UFC) former Champion Bas Rutten, (UFC) Referee “Big” John Macarthy, (ThePits) John Hackleman (AKA) Javier Mendez, former sparring partner (Dream) World Champion (AKA) Marius Zaromskis. And many more great martial artist around the world. With over 25 years of martial arts experience. 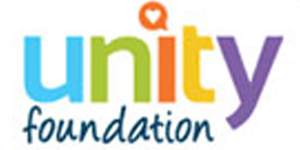 GPUK supports and helps raise money for the Unity Foundation.